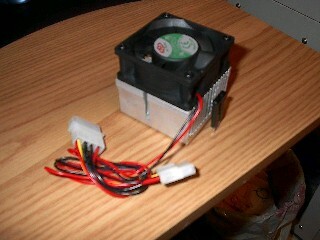 With so many Socket A coolers on the market, there is very little room for a good reliable cooler to come out on top. You would need to combine performance with some decent cooling or there is no chance at reaching the top of the list. We take a look today at one of OCZ's Socket A offerings in their line of cpu coolers. The Glacier 2 is a finned heatsink made from aluminum. It measures 60mm X 55mm, a nice size that should fit in most motherboards. What sets it apart from the rest of the budget coolers is that, it includes a copper plate at the base of the heatsink. Copper has been known to be a great material to transfer heat and this addition of this tiny piece attempts to carry this idea further. The heatsink itself is one solid block of aluminum with fins that run across it. It is cool by a 36 CFM fan made by Dynaeon. 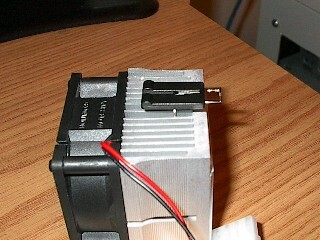 The cpu clip has the added benefit of the plastic covering for easy installation. The plastic covering provides more leverage so installation of the cooler would be easier.